It’s hot … steamy hot, but as our temperature soars, so do some incredibly hot deals and steals around town, particularly in the French Quarter, making July and August the ideal time to play tourist in our own town. The New Orleans Convention and Visitors Bureau is promoting a host of summertime specials that can be found by visiting www.touristathome.com. So get out and tour your town! 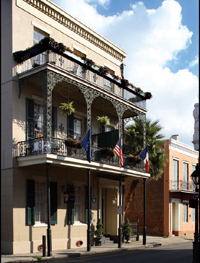 Escape your day-to-day doldrums and spend a couple of nights at a fabulous French Quarter establishment. From traditionally adorned and intimate B&Bs to lush courtyard-studded hotels, local summertime specials and incredible rates make this the perfect time to kick back and relax New Orleans style. Ideally located just steps away from the famous Lafitte Blacksmith Shop, this recently redecorated beauty offers a cozy, intimate ambience with classic Southern charm and elegance. Culinary fans won’t want to miss this three-day summer cooking series in which chef Greg Picolo, of the Bistro at Maison de Ville, will teach guests of the inn how to prepare favorite cocktails and cuisine. Don’t assume that you’ll just sit back and graze, though! This class is totally hands-on, so roll up your sleeves and get ready to stir, slice and sauté! For details visit www.lafitteguesthouse.com. Lounge in style at this conveniently located hotel and enjoy their special French Quarter Forever package, starting at just $89 per night, which includes luxurious guest rooms featuring special views of the French Quarter, courtyard or outdoor pool, complimentary drinks at the stylish Clock Bar, breakfast at Tempo Restaurant and a coupon book with more than $150 in discounts for local attractions and restaurants. For details and reservations, visit www.sonesta.com. This four-star hotel offers elegance and luxury in the heart of the Quarter. The incredibly low summertime rates make this the perfect time for a getaway with your best friends. Get Your Glam On offers ladies a complimentary women’s Sensation Bar, including a “chick flick” DVD, wine and chocolates, lip masque and glosses and a Girlfriends’ Tarot Card Kit. The package also offers an advance concierge call to arrange additional services such as an in-room hair/makeup team before hitting the town, a limo ride to local hot spots and spa treatments. Likewise, guys can Get Your Game On with a complimentary men’s Sensation Bar that includes a sports-focused DVD, a rock ‘n’ roll CD, an Art of Shaving travel kit and a local microbrewed beer with gourmet chips. An advance call from the concierge enables guys to customize their stay at an additional cost, providing items such as poker cards, chips and dice, a bar with private bartender/mixologist and reservations for tee-times at local golf courses. Visit www.omnihotels.com for details. The Ritz-Carlton, the epitome of luxury accommodations, is offering fantastic summer deals including Cool Down With Clicquot in its relaxing and rejuvenating European-style day spa. 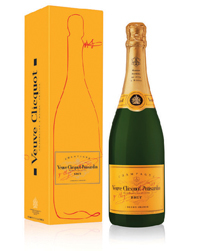 Every Thursday throughout the summer, locals can take a break from the heat at the city’s largest and most award-winning spa and enjoy complimentary Veuve Clicquot Champagne and sample a Cool Summer Spa service. As an added incentive, receive a locals’ 20% discount on services in The Spa from Monday to Thursday, 8 a.m. to 8 p.m. and free valet parking. You’ll be treated like royalty when you book any other summertime package, such as the Bring Back the Big Easy ($199), Reconnect ($179), Crescent City Comeback ($1,100) or Steel Magnolia Sojourn ($1,100). And don’t miss the 25-cent martinis every Friday at lunch in Mélange all summer. Visit www.ritzcarlton.com for details. The ultra-contemporary and hip W Hotel French Quarter, invites locals to escape while never leaving town. Start by grabbing a welcome drink in Bacco, Ralph Brennan’s strikingly beautiful and delectable Italian restaurant, with 2 Welcome Sip Cards, watch a movie in your room from the hotel’s DVD Library and enjoy fresh-popped popcorn from in-room dining. ?Unlimited local calls and overnight parking for only $15, ?all in a wonderfully stylish and comfortable room that you won’t want to leave! Satisfy your sweet tooth at Aunt Sally’s, where you’ll get a free Creole praline with any $5 purchase or more. This summer, Riverwalk Marketplace and Hilton New Orleans Riverside are giving residents of New Orleans free parking! Spend $5 at the Riverwalk and you can park for up to four hours free. Cool off by watching the fish at the Aquarium of the Americas and receive a locals’ discount on the price of admission. 20 St. Louis St.; Gallier House, 1132 Royal St.
Take a trip back in time to the beautiful and historic Hermann-Grima House or the Gallier House and receive one free admission with the purchase of a full-price adult ticket. This museum, research center and publisher is dedicated to the study and preservation of the history and culture of New Orleans and the Gulf South region. Visit this summer and get two guidedtour tickets for the price of one. The Bistro is back and chef Greg Picolo has created a summer sampler special that’s simply too good to pass up. This lunch special offers a choice of three small plates for only $20 and a complimentary glass of red or white wine as lagniappe. Feeling crabby? Then check out Crustacean Celebration at Muriel’s. This special four-course table d’hôte menu spotlights Louisiana blue crab during lunch for $38 per person. Ciao Down at Sundown this summer at Ralph Brennan’s stunning Italian restaurant and enjoy a special three-course menu from 5:30 to 7 p.m., featuring your choice of appetizer, entrée and dessert for $25. There are several reasons to visit chef Susan Spicer’s nationally acclaimed restaurant this summer, starting with their 17th anniversary special. Who can resist 17-cent martinis every Wednesday, Thursday and Friday during lunch, and your choice of Bayona salad or soup and entrée for a mere $17? If you’d rather do dinner, check out the prix fixe three-course menu for $30 Monday through Saturday at 6 p.m.
1001 Toulouse St., 522.8800 Chef Dominique Macquet brings a world of flavors to his restaurant and this month he invites you to enjoy a complimentary bottle of house wine and dessert for two with the purchase of two entrées. Gather your gang and take them to Galatoire’s this July and August, when you can sip premium martinis made with Level Vodka or Plymouth Gin for half price.